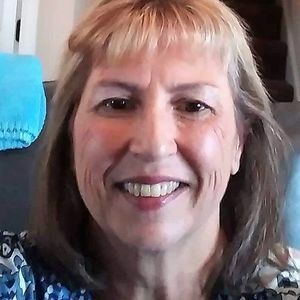 Karen Dinese Burns, age 57 of Shelby, passed away Friday, February 8, 2019 at CMC– Mercy in Charlotte. She is survived by her two sons, Michael Burns and wife Taylor and Ryan Burns, both of Shelby, NC, four grandchildren, Mason, Collin, Luke, and Cooper Burns, three sisters, Debbie Williams of Lawndale, NC, Tina Williams of Shelby, NC, and Teresa Robinson and husband John of Kure Beach, NC, and two brothers, Willie Williams and wife Lynn and Ronnie Williams and wife Kathy, both of Shelby, NC, and numerous nieces and nephews. Born June 23, 1961 in Cleveland County, Dinese was the daughter of the late Thurman and Doris Clary Williams and was preceded in death by a brother, Jeff Williams. Dinese enjoyed spending time relaxing by the pool and shopping. She worked for over 13 years at D.S.S. where she enjoyed helping people. Dinese was affectionately known to her family as "Niecy". She loved her grandchildren and her "Granny Time". Funeral services will be held at 11:00 am Saturday, February 9, 2019 at Landmark Baptist Church. A visitation will be held one hour prior to the service at the church. Burial will follow at Cleveland Memorial Park. Memorial contributions can be made to Landmark Baptist Church Women's Missions, 1724 E Dixon Blvd, Shelby, NC 28152. Add your thoughts, prayers or a condolence to Dinese's guestbook. Please enhance this tribute to Dinese Burns by adding your memories and photos.